Turbo snails (Turbo spp. and Astrea spp.) have a reputation as hardy algae eaters. However, while they will help graze on algae, you must take care to select a true tropical species, as many turbo snails offered for sale belong to temperate species that will fare poorly in tropical tanks, which make up the vast majority of saltwater aquariums. Beyond this, turbo snails do require some specialized care. Turbo snails require an aquarium of at least 30 gallons. Additionally, the tank must have good lighting and strong current. Most of these requirements overlap with those of coral. This makes turbo snails good for reef tanks, provided you are certain the specimens in question are tropical species. Since it is very difficult to distinguish between turbo snail species just by looking at them, the only way to ensure this is by getting your turbo snails from a knowledgeable fish dealer with a reputation for honesty. Turbo snails require the same conditions as fish in a reef aquarium. They require a tropical temperature between 72 and 80 degrees Fahrenheit. Additionally, the water must have a specific gravity of 1.020 and 1.024. The pH may range between 8.0 and 8.4. Like many saltwater invertebrates, turbo snails do not tolerate ammonia, nitrites or nitrates well. Like corals, turbo snails require supplemental calcium in their water. Turbo snails need this calcium since they extract this element from the water to make their shells. Most people get turbo snails to help control algae. Only put turbo snails in aquariums with lots of live rock with light algae growth for them to eat. If they exhaust their supply of algae, you will need to provide supplemental foods. You can wedge dried seaweed between pieces of live rock to provide your snails with extra food. You can purchase such seaweed at pet shops that carry saltwater fish. As reef-safe invertebrates, turbo snails will not harm other invertebrates, nor will they harm fish. 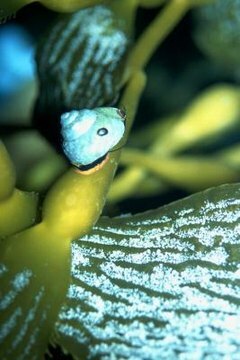 However, other organisms -- some reef-safe -- may harm turbo snails. Turbo snails cannot share a tank with grazing fish like tangs. These vegetarians will eat food more quickly than the snails, even with supplemental feeding. This leaves the snails to starve. You must also take care to avoid predatory fish like triggerfish, which specialize in eating hard-shelled invertebrates.